It seems that announcements of new tablet PCs are still coming in thick and fast, with MSI expected to release its tablet offering in the second half of this year. Indeed, it seems that MSI’s device will be running Google’s Android OS, which is in keeping with Apple’s decision to run with its iPhone OS… so we could well be moving towards a world in which more tablets run mobile operating systems, rather than more resource-hungry desktop OSes. Indeed, Dell’s soon to be released Mini 5 tablet runs Google’s Android too. 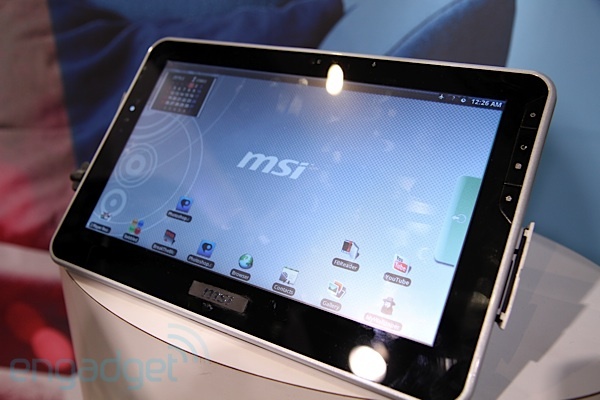 Still, there are plenty of Windows XP-based tablets out there.